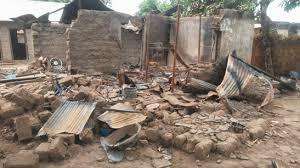 The forum of the three major socio-cultural organisations in Benue State, namely, the Mdzough U Tiv, OchetohaK’Idoma and Omi Ny’ Igede has accused the Federal Government of collaborating with killers of people of the state to change the narratives about the herdsmen killing in the state. The leaders of the ethnic nationalities in the state, stated this while briefing newsmen, last Tuesday, also stated that President Muhammadu Buhari may have been misinformed about happenings in the state regarding the Benue massacre which had left several people dead and thousands displaced. Reading out the position of the socio-cultural organisations, President General of Mzough U Tiv, Engr. Edward Ujege absolved Governor Samuel Ortom of masterminding the killings in the state as alleged by some top Federal Government officials. “We read with utmost disbelief comments credited to the President and Commander-In-Chief of the Armed Forces of the Federal Republic of Nigeria, Muhammadu Buhari, when he received members of the All Progressives Congress (APC) from Benue State led by one of our distinguished sons, Sen. George Akume, representing Benue North West Senatorial District. “In his address to the delegation as published in some national dailies on the 24th November, 2018, the President referred to the masterminds of attacks on our people and other states of the country as ‘ungodly’ people who have no religious or ethnic inclinations. “We the leaders of the three socio-cultural groups in the state completely absolve Governor Samuel Ortom of being responsible for the insecurity in Benue State. “The security challenges in our state dates back to the days of former Governors Akume and Suswam. “It was the search for a lasting solution that brought about the ranching law which is a child of necessity and longtime research. Blaming the present situation in the state on Governor Ortom is reminiscent of giving a dog a bad name in order to hang it. “The major problem of Benue State is insecurity and not other issues alluded to by Mr. President. “Insecurity in Benue State occasioned by incessant attacks, massacre and displacement of our people in their thousands by militia herdsmen, has crippled our economy and forced thousands out of school. “The President should note that the strength and survival of any economy is the private sector which in Benue is farming. “Majority of the civil servants in the state are farmers and they can hardly make ends meet without it, even if they are paid on regular basis. “Education, as we are all aware, is instrumental to the development of any society. “In Benue State here, most of our children are forced out of school by marauding herdsmen. “The damage on the future of our children is much and only God knows what becomes of them in years to come. “One really wonders what is becoming of our great country Nigeria if facts that are too glaring could be twisted just to change the narrative in order to achieve ulterior motives. “For Mr. President to describe killer herders across Nigeria as “ungodly” people without religious inclination is devastating to say the least. “In Benue State, prior to the January 1st, 2018 massacre of innocent farmers, known leaders of Fulani groups came out in the press and threatened hell fire on Benue people. “Why then should we not believe that the federal government is collaborating with our killers as they are desperately trying to change the narrative? “If the Federal Government is sincere about the claimed diversification of the economy through agriculture and plans to encourage commercial farming, how will this succeed when the same Federal Government is planning to open up old grazing reserves, some of which are now being occupied as a result of development in the society? “Why is it so difficult to accept the fact that Nigeria needs to adopt modern method of animal husbandry which is ranching as being championed by Benue State?” the statement read in part.